It’s our business to understand yours. With every food industry client—whether they live and breathe ingredients, private label, brand, or food service—we learn something new, so our expertise continues to grow along with our client list. Not just food, but the entire food industry. We understand your target audience. We know what matters to the R&D audience as well as the marketing and purchasing decision-makers you are trying to reach. As a matter of fact, we’re food ingredient enthusiasts. We already know the difference between a functional food and a nutraceutical. No learning curve or ‘agency education’ required. The result? Your food ingredient, private label, brand or food service product gets to market faster. Not just faster, but better, with a more accurate assessment of your brand and what it needs to succeed in the marketplace. We are also a constant presence at key trade shows, so we can keep an eye on the industry. And the food, of course. Your brand: deep down, you know your product can’t succeed without it. Your brand is the idea or image that customers connect with. It’s the set of expectations that can drive a customer to choose your brand over the alternatives in the marketplace. Your brand is their reason to choose. Does branding matter in B2B? Not only does it matter, it’s actually MORE important. Today’s buyers start their journey online doing their own independent research. Gone are the days where they just picked up the phone and called a salesperson for information. 90% of the buyer’s journey is complete before they contact a salesperson. Fact is, by the time they contact you, they’ve already chosen you. Branding suddenly seems very important. We ensure that your brand uses the right mix of tactics in all the right places to reach those researching buyers. Creativity solves problems. Strategy defines them. 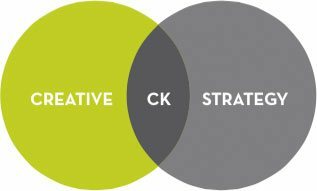 At ColinKurtis, we love the sweet spot where creativity and strategy connect, because we know they work best together. So we begin every project by getting a clear, in-depth understanding of your objectives, to ensure that all marketing efforts are in line with your business goals. Our goal is to present ideas that are not just creative, but effective, and bring real value to your business. The result is creative, completely integrated, and custom designed to meet your objectives. Creativity without strategy is just…well, that’s just decoration. Inquire. Involve. Inform. It’s what we do here at ColinKurtis. Whether it’s a new approach to creative, a broader look at media options, or recommendations for your overall marketing strategy, it all starts with an intimate relationship with our customer. We approach every project from the inside out with intense curiosity. We start out by asking all the right questions. Then, we really listen to your answers to genuinely understand your business and its goals. Next, we add our keen expertise and vast knowledge to the mix, with our solid design and communication, media analysis, public relations and marketing strategy skills. Ultimately, we develop just the right mix to fit your individual brand needs: a completely integrated, media neutral marketing strategy—utilizing whatever combination of print, web and interactive, PR, direct marketing and social media are merited and fits your budget. We communicate effectively with you, so that you can communicate successfully with your customers. See how that works? We like to think of them as our own ColinKurtis power couple—each one a star in their own right, but together—even better! We’ve spent over 17 years building relationships within the food industry, but it didn’t taken us that long to realize the benefits of handling media and public relations efforts together. Our best-of-both-worlds approach provides focused and effective media relations, and our strong relationships with editors, sales rep and publishers offer our clients cost-effective, maximized results. As our client, you benefit from frequent pickups of press releases, inclusion in feature story interviews, preferential placement of advertising, aggressive pricing and access to exclusive articles to communicate your message. We think that’s a win-win.